From Today, I am going to write a series of tutorials based on Computer Memory Management Topic. If Yes, Then Friend Try To Understand My Future Planning. Because Friends To Be A Successful Penetration Tester, Low-Level Programmer Or Ethical Hacker, Knowledge Of Writing Exploits On Your Own Is Very Important And Yes, To Write Exploit On Your Own. You Need Sharp Knowledge Of Computer Memory Management Concepts. I hope you got my planning, but if already aware of the basic concept then you can skip this post.. if you have any doubts in your mind, comment below. Q 1. What Is Memory Devices? Ans. 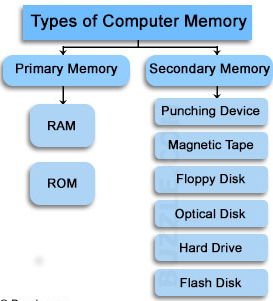 In Computer, Memory devices are the physical or virtual devices that have the ability to store various types of Data, Information for temporarily or permanently time. In simple words, memory devices are the devices which can store information in various forms. Q 2. Types Of Storage In Computer? Ans. Basically, There are Two Types Of Storage In Computer. Primary Storage: Primary Storage memory is also known as Internal memory. it is the only one memory that is directly accessed by the computer CPU (Central Processing Unit). So, In this memory CPU continuously reads and write instruction to perform various operations in Computer System. This types Of memories are temporary storage means after switching off, all stored data will vanish. It is also Fastest Memory If Compared to Secondary Memory But The Limited Of Storing Data is very small compared to Secondary Memory. 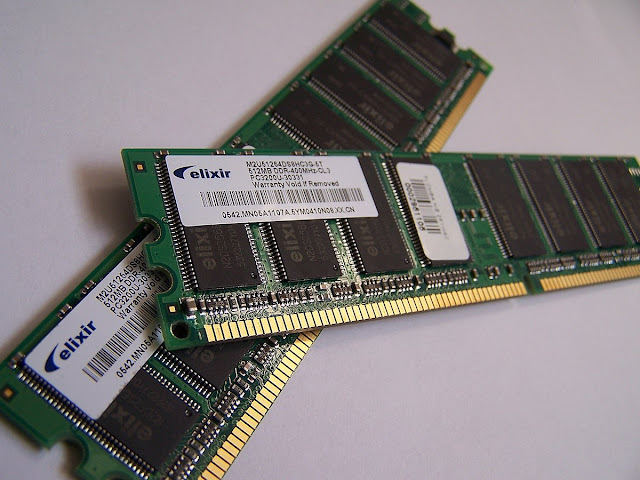 Example Of Primary Memory Is RAM (Random Access Memory). Secondary Storage: Secondary Storage memory is also known as External Memory. In this types of memories, CPU has to use primary memory as a medium or you can also say as a bridge to access any data on the disk. This types of memory are permanent storages means even after switching off, data will remain saved. but this types of memories are very low compared to primary memories. Another, a Major factor of secondary memories is, There limits of storing data is very big compared to Primary memories. Examples Of Secondary memories: HDD (Hard Disk Drive). Q 3. What is Memory Management? Ans. Basically, As I already mentioned above. Primary Memory is the only one memory that provides direct access to CPU. Hence, CPU use this memory to perform operations successfully. In Addition, to manage various operations and functions, the operating system also has the ability to manages the primary memory of the computer system. The part of the operating system that handles this jobs is known as memory manager. Since in every operation the requirement of primary memory to CPU is necessary. In simple words, primary memory is a temporary memory but very fast memory that provides direct access to CPU and secondary memory is a permanent but very slow memory and can't access directly by CPU. So basically all programs execution instruction always saved in Secondary Storage But Whenever The CPU need to process any required instruction it produces a specific call with required data information to secondary device manager, and secondary device manager retrieves data from hard disk and copies it in primary memory. I hope you got it... but if you have any query than comment below because it will encourage me to write in more details.